„Oh, we used to wear those sweaters when we were young, are they trendy again?“ It’s likely that either your parents, grannies or other people who were born in the former decade already asked you this question. And now that’s a fact: with a chunky Norwegian knit sweater, the chances are even higher. Back in the 70s of course, they styled those comfy companions with flared jeans and ski outfits. This season, however, the jumpers are getting their update: they match perfectly with the chunky sneaker trend. Whether you like the current temperature situation or not, the sweater weather season is not over yet. Just keep in mind that the actual cold months from January to at least March are still pending. Luckily, chunky Norwegian knits provide a cozy remedy in this regard. All cuddled up just like in a blanket, the jumpers keeps you warm and make your outfits look stylish and fashionable at the same time. 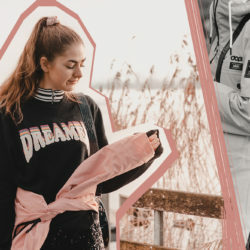 Actually, their talent is to be a great all-rounder, since they match with different styles; from skinny jeans to cycling shorts or wide-leg pants, there is always a way of styling the wintery sweater accordingly. Considering the freezing weather conditions, they apparently work as layering looks as well. Just wear a turtleneck underneath, throw over a long coat and there you go! 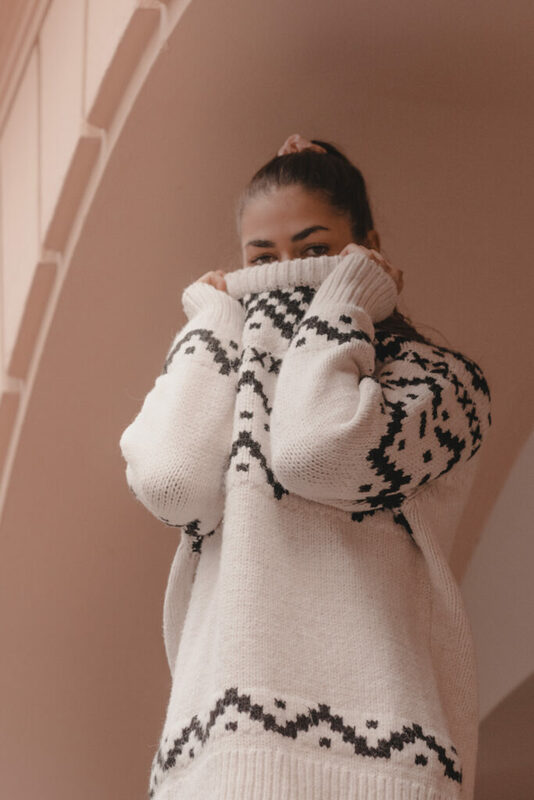 Considering that the trend of chunky sweaters has just came up simultaneously with the dropping thermometer, the chunky sneakers hype, in contrast, has been around for quite a while now. And it will stay. 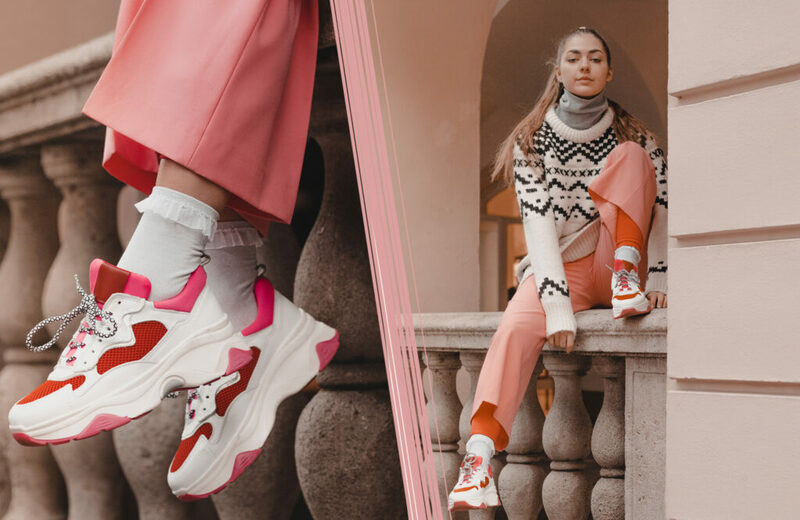 Especially when looking at the several 90s inspired collections for the upcoming spring/summer 2019 season, chunky dad sneakers will keep on being your good and comfy friends. So, such as it is worth it to invest in new Norwegian knits (or check out the great amount of sale offers), it makes sense to keep an eye on the sneakers’ side as well. Since they look best together, let’s call them the chunky power duo of the season, which is definitely „trendy again“. 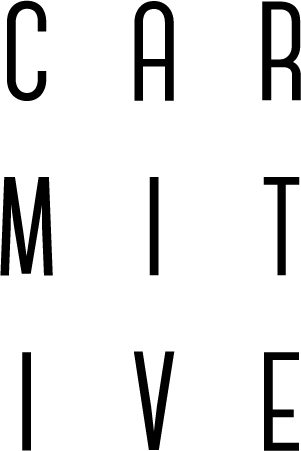 Posted in Fashion & Outfits and tagged Accessories, Fall/Winter 18/19, Fashion, Inspiration, Lifestyle, Sneakers, Style, Sweater, Things to love, Trend. Bookmark the permalink. Such a cute sweater! I love the post. I love how you mix colours and neutrals in this look and as always, you make me want to give this outfit a go! I have just been getting into chunky sneakers and I will forever be a lover of chunky knits. The combo seems irresistable in the colder months and the perfect way to look both stylish and cozy this winter. 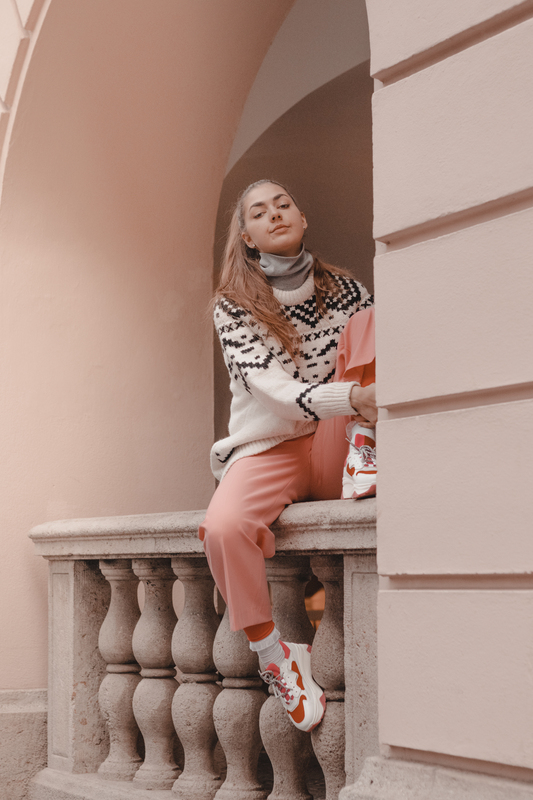 This location is also perfect for the outfit, mixing in perfectly with your trousers and the hint of pink on the trainers. Love the photo with the hair flip too. I didn’t know chunky sweaters have been around from the 90’s! It totally makes sense why they’re loved by everyone and their dog now hehe. Have a relaxing and creative week ahead! Oh thank you so much for your kind words Isabella! This means a lot to me and I am happy you like the outfit so much <3 have a wonderful week! Such a cute and cozy look dear! Love the sneakers, it’s such a fun trend right now. Haha oh das tust du auf jeden Fall! Sie sind wirklich perfekt für den Winter. 🙂 Danke dir vielmals! Oh danke dir vielmals liebe Tina! Das finde ich auch, habe mich so gefreut <3 auf jeden Fall bis ganz bald! I love your comfy outfit! So colourful and cosy. Oh thanks so so much Anouk! YESSS oh my goodness I’m all about those chunky sweaters and I loved how you paired with sneakers! Such a fun outfit combo! Oh das freut mich Sophia, vielen vielen Dank! I love how you styled this sweater! The kicks are so cool! Thank you my dear, means so much! Oh yes I absolutely agree Diana and I am glad you like them too! When I was in HS, I was sneaker obsessed! I had such an extensive collection of Nike’s, but when I started college, I swapped them for heels and really haven’t looked back until now. I love how they’re trending more these days and the super cool and fashionable designs we’re seeing. Plus, they’re much more practical and functional for me these days with a toddler to chase, while pregnant! I’ve been looking at a few, but I need to get at least one pair soon. I love the way they look with chunky, oversized sweaters. They really create a cool, urban factor, while staying warm and comfy. I LOVE your pink kicks, btw! Thanks for sharing, beauty, and I hope you’re having a great week so far! Oh this feedback means a lot to me Jalisa! I am sure you would still rock those sneakers perfectly 🙂 Can’t wait to see your way of styling!